Earth day is one of those things pretty much everyone can stand behind. With virtually all scientists and the vast majority of the public acknowledging the fact that climate change is an imminent threat that must be dealt with, it marks an occasion for awareness and action. This year in particular, it coincides with a very special event, the signing of the Paris Agreement for Climate Change mitigation. It also coincides with what seems like the beginning of another episode in the emissions scandal – one more corporation caught red handed. But what are the facts behind these stories, and how are they related? For example, how have standards for car emissions evolved in the US and the EU, and how are they different? How have manufacturers responded, have they adjusted to enforced regulations? What was the effect observed on air quality, has it been improving as regulations become stricter? Are there side-effects on prices and sales? And how does this fit in the greater picture, what is the role of car emissions in climate change and what is the Paris Agreement doing to address the issue? These are some of the questions an environmentally aware citizen, a conscientious journalist and a responsible public officer should all know the answers to. While the questions may seem simple, answering them is not. One would argue that it would take environmental, industrial and policy expertise combined to be able to answer those questions, and that of course is not far from the truth. But even with combined expertise, such questions are impossible to answer without sufficient data. Our capacity to support the production, storage, management and analysis of data has been exploding, and the associated cost has been dropping. As a result, we now have more data than ever available, and this trend is only accelerating. Although the importance and the implications of data are being increasingly realized from individuals and organizations alike, to the point of having the UN form a “Data Revolution” working group, in and by itself this does not grant the ability to be able to answer our questions. Technologies powering the data revolution such as Big Data, Analytics and the Internet of Things have been evolving, and have been the focus of our work for years. But despite its progress and the increasing degree of automation it has been enabling, technology alone cannot answer questions. In order to be able to answer questions such as the ones posited above, we need a number of things. First of all, we need access to relevant and trustworthy data. Data that live in silos guarded by gatekeepers are not living up to their full potential. In the last few years a worldwide movement has been developing to open up more and more data sources for public use. Whether it is data from public bodies, scientific sources, or data collected via grass-roots efforts, the potential of Open Data to create value is becoming increasingly understood. Having data available however is just the beginning. To answer questions, we must be able to discover relevant data swimming in a sea of non-relevant ones. We need to harvest and combine them, analyze and make sense out of them. This requires what we call data literacy – the ability to work with and understand data. What’s more, we must be able to make arguments and present the stories that the data research is telling us. This emerging field is called Data Journalism, and combines a range of skills spanning research, analysis and storytelling. Although data literacy is becoming more widespread, not everyone is able or willing to become a data journalist. But apart from pushing for open data and acting as data journalists, citizens can also participate by helping collect data. This is part of what we call Citizen Science – the involvement of volunteers in scientific research. This can take many forms, from very engaged participation working with scientists, to very loose such as generating data using spare computing power. How does this all fit together? Open Data provides the foundation for Data Journalists to look for evidence and formulate hypotheses. And when additional data is needed, Citizen Science can come to the rescue. Sound vague, or too good to be true? Granted, this is only the beginning and there is still way to go. But it’s already real and happening, and it has the potential to transform the way we perceive and interact with the world around us. 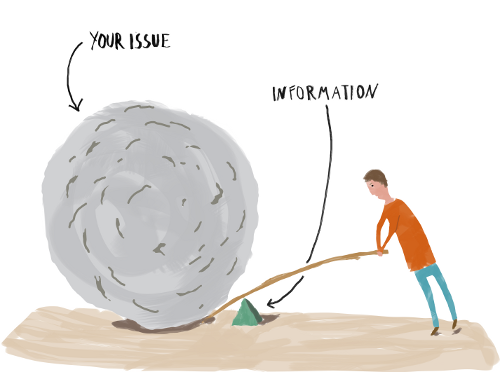 In the coming weeks, we will continue with a series of articles covering Open Data, Data Journalism and Citizen Science as the key ingredients for transparency and democratization of access to knowledge. We will cover all of these topics, and go from introducing concepts to practical examples of using data sources, tools and techniques to try and answer some of the questions above.